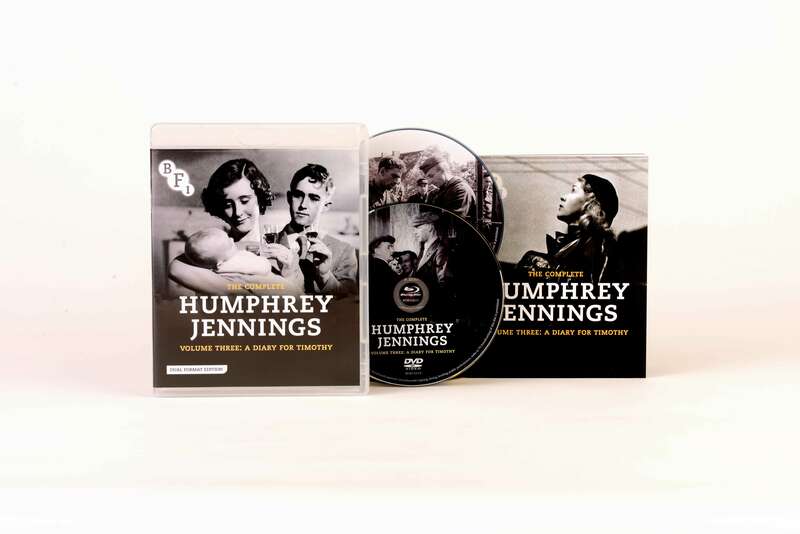 Humphrey Jennings’s transition from wartime to peacetime filmmaking. 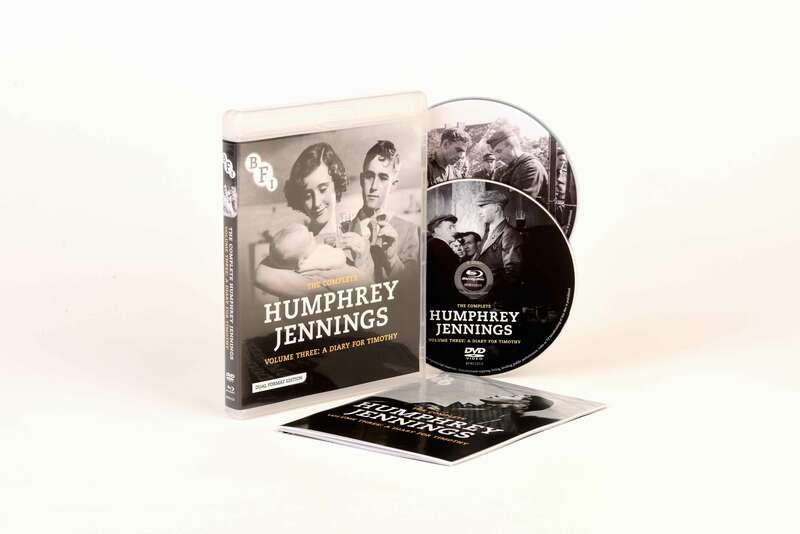 Widely celebrated as one of Britain’s greatest filmmakers, Humphrey Jennings is a true poet of the cinema, and his work was the inspiration for Danny Boyle’s Olympic Games Opening Ceremony. 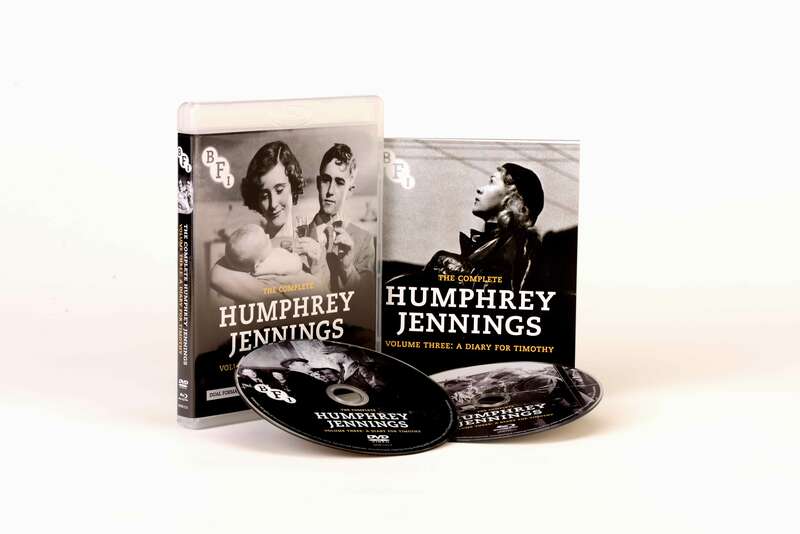 This, the last of three comprehensive volumes which bring together his entire directorial output, features the films he made between 1944 and 1951, and charts his transition from wartime to peacetime filmmaking. 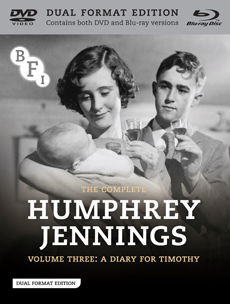 Featuring A Diary for Timothy, Jennings’s much-loved collaboration with EM Forster, The Dim Little Island, a muted but affecting celebration of Britishness, and Family Portrait, the esoteric Festival of Britain film, this essential collection confirms Jennings as a master of the cinematic art. V.1 (1944): a shorter cut of The Eighty Days, made for overseas distribution. The Good Life (1951): The film Jennings was working on at his death.